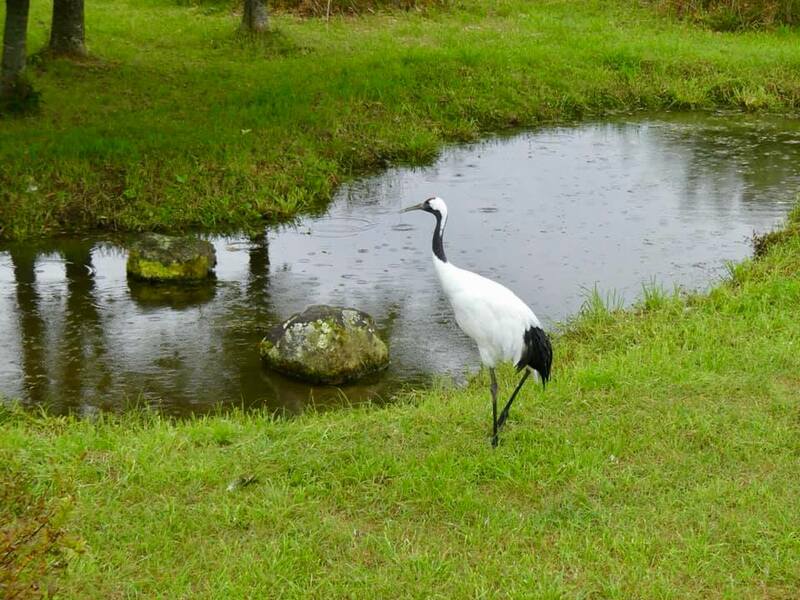 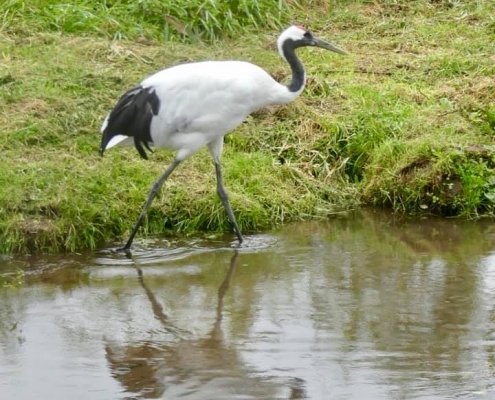 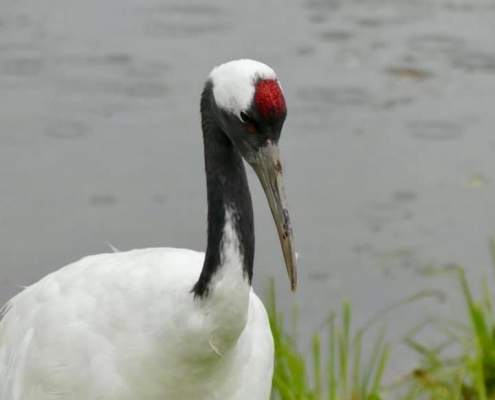 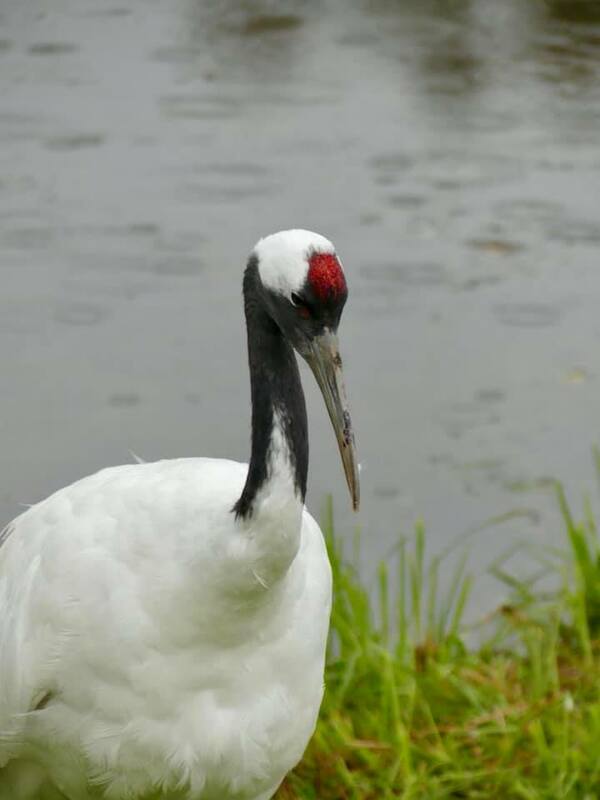 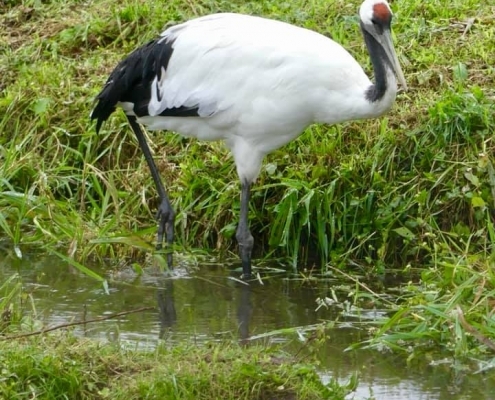 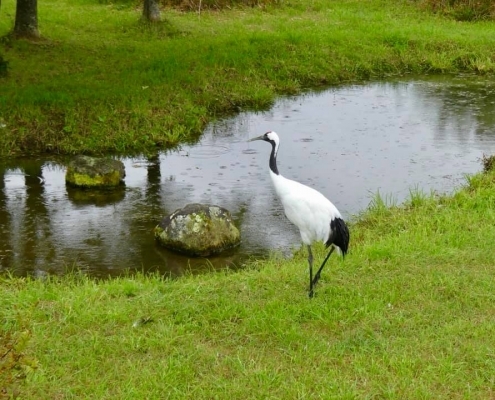 One of the major reasons for driving so far to the eastern Hokkaido and the Kushiro area was to see the world’s rarest crane and a symbol of Japan – the red-crowned Japanese crane. 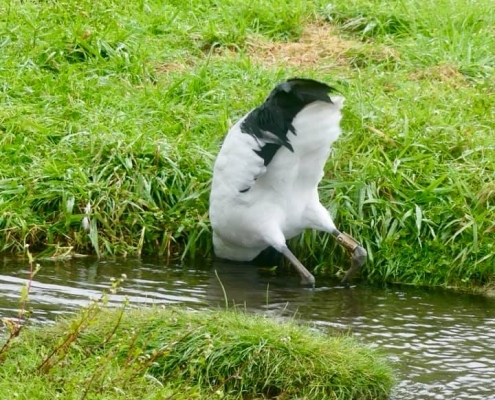 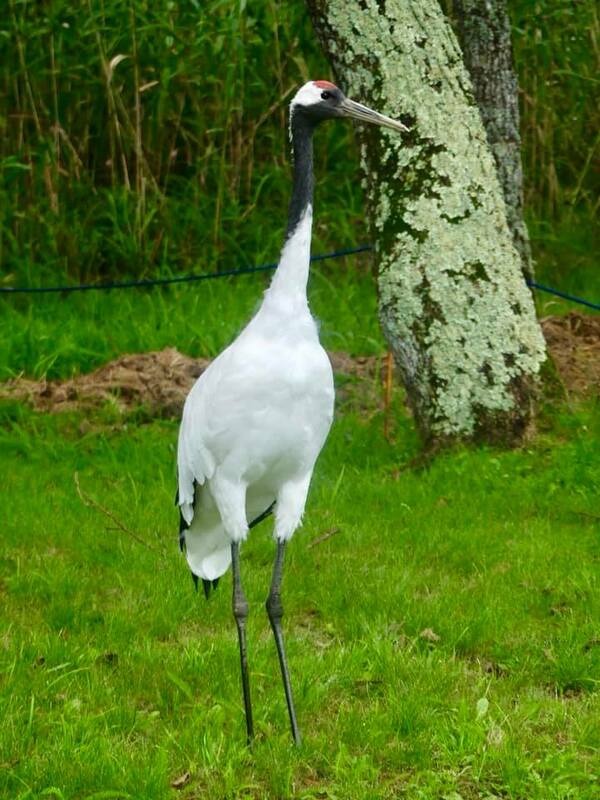 Only about 2500 birds exist in the world, and about a 1000 lives permanently in Hokkaido (where they are fed), while the rest migrates to Siberia in summer. 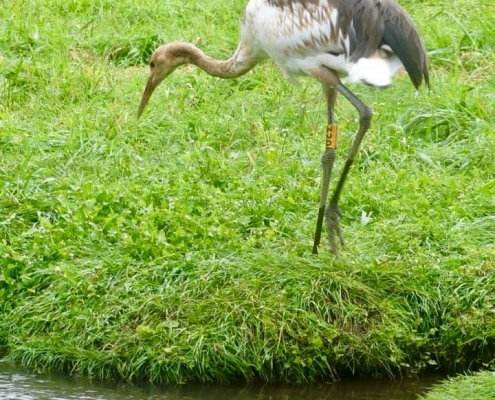 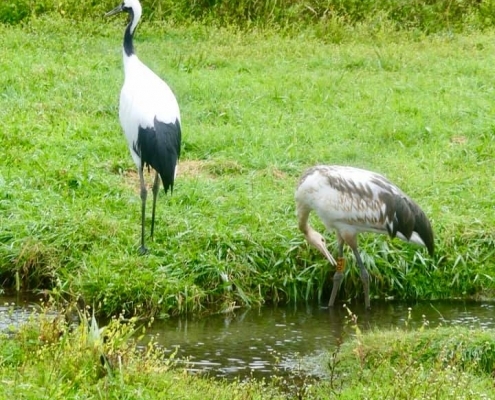 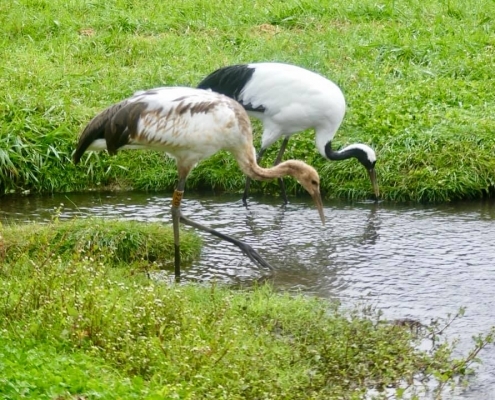 The crane’s mating dance is famous, however that happens in the height of winter, while right now you could see baby cranes that are quite grown up but still have different coloration. 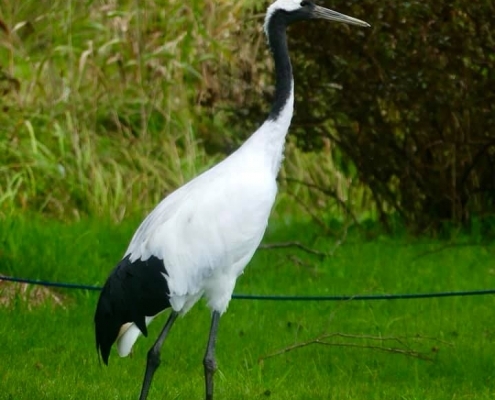 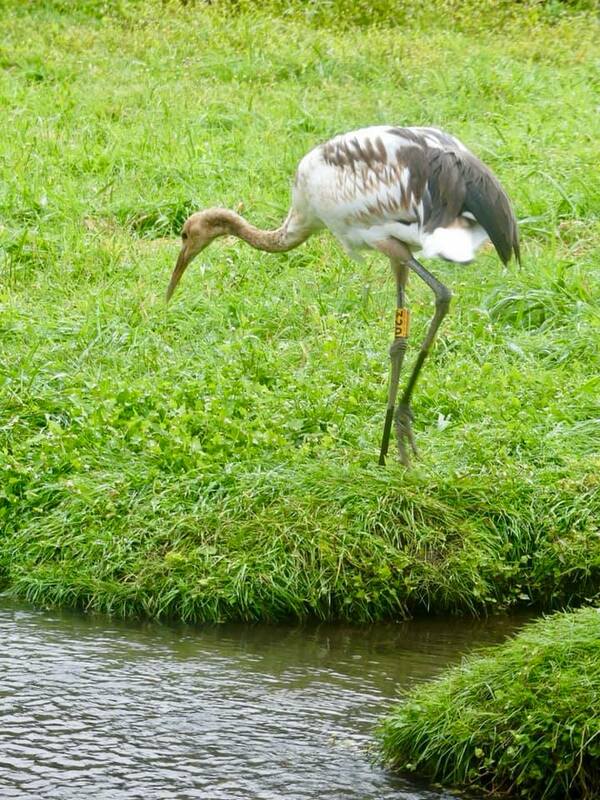 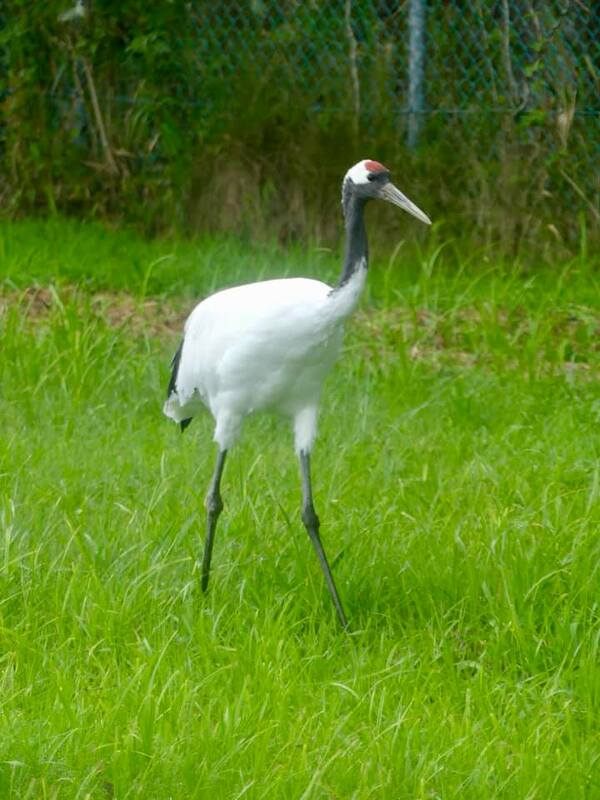 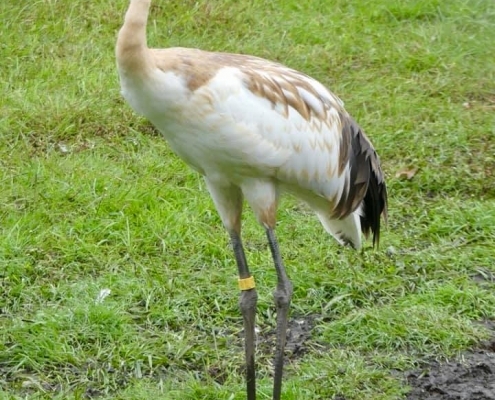 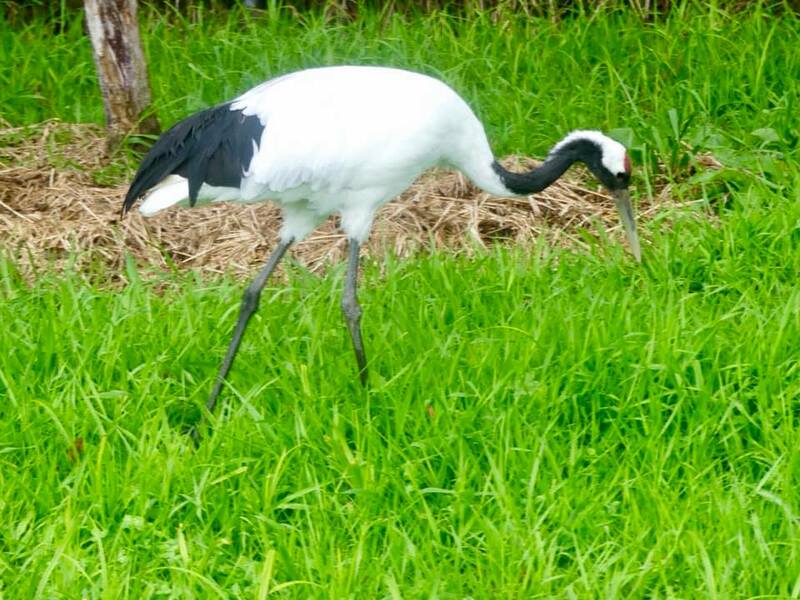 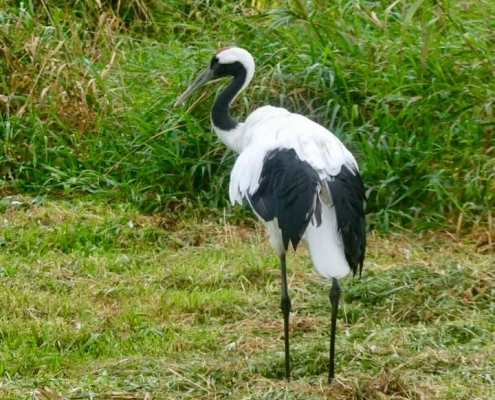 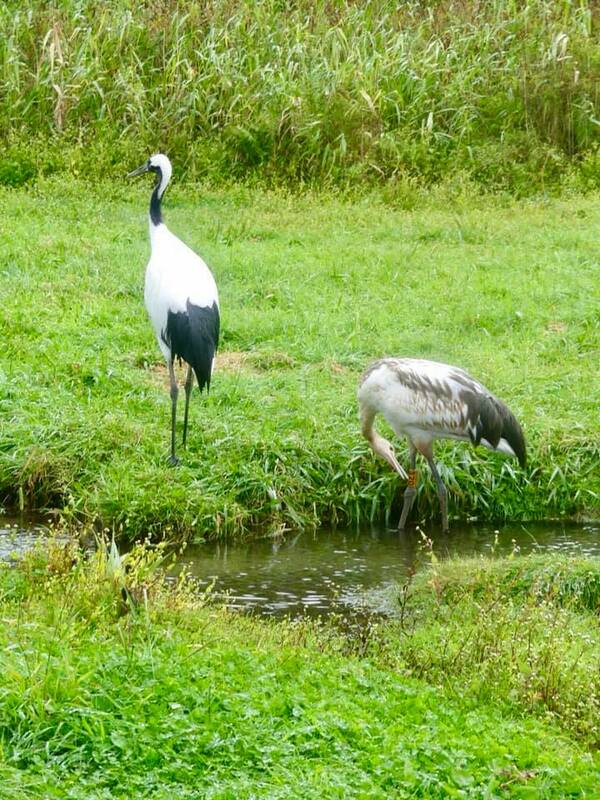 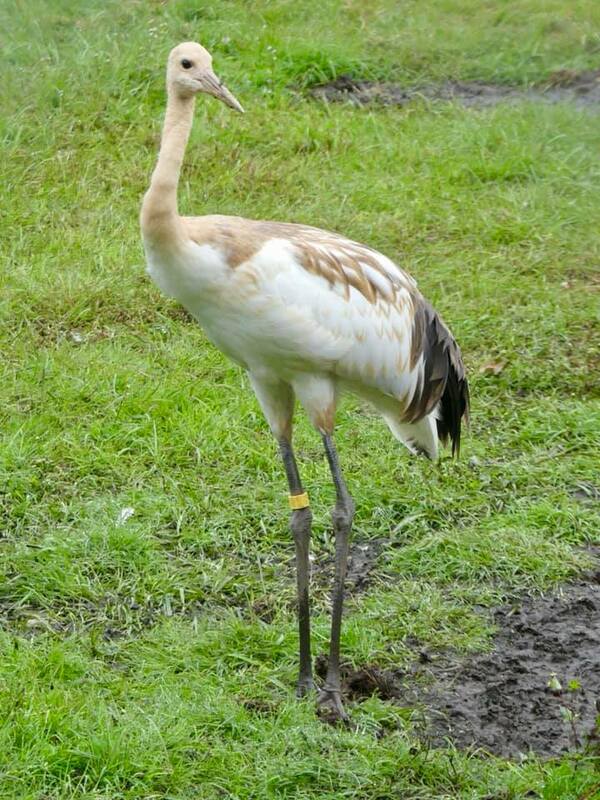 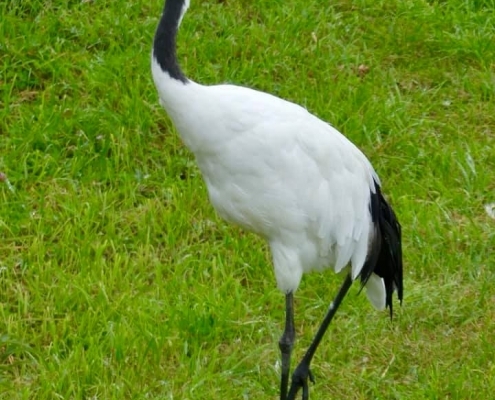 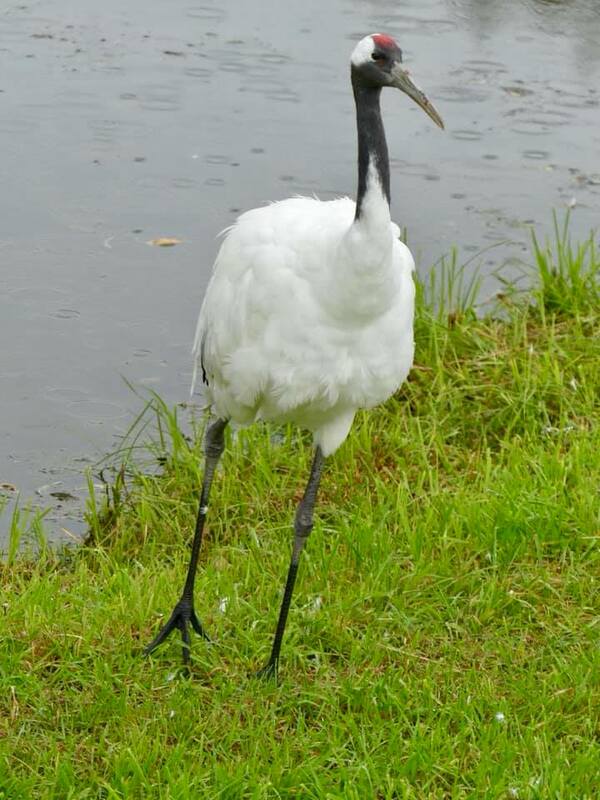 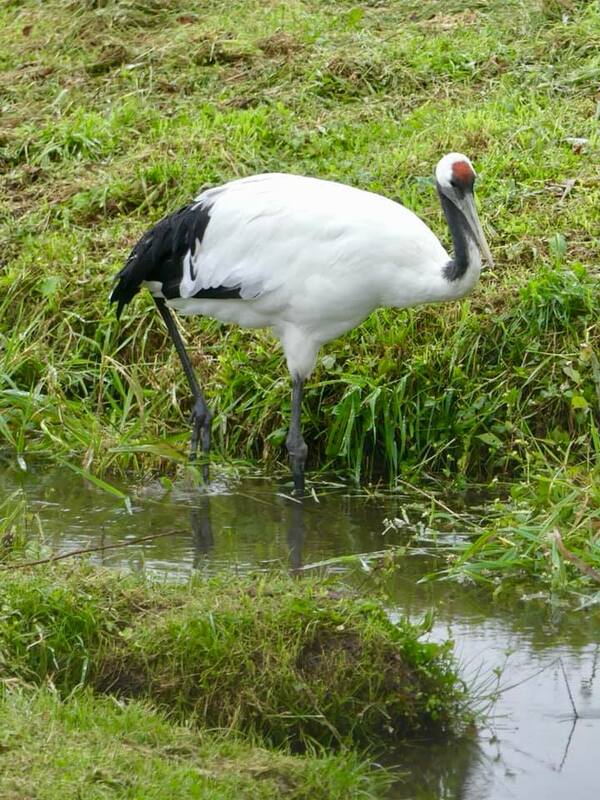 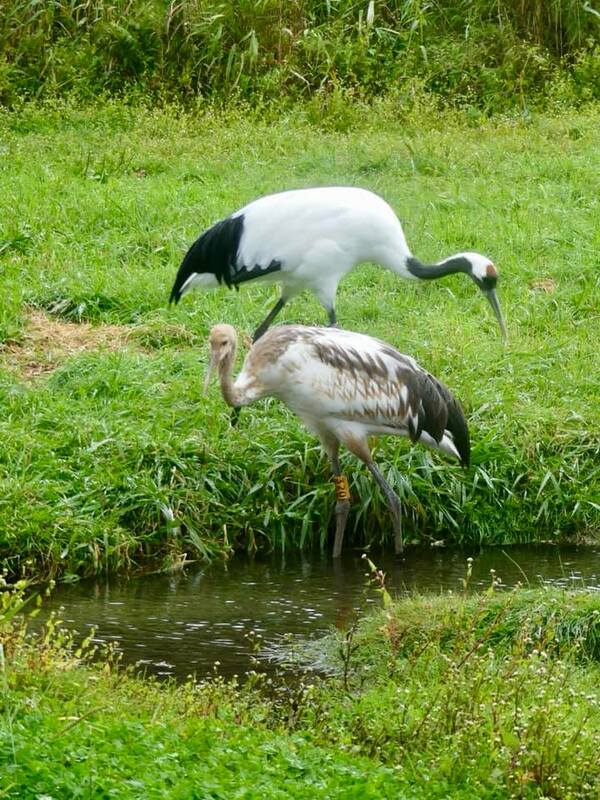 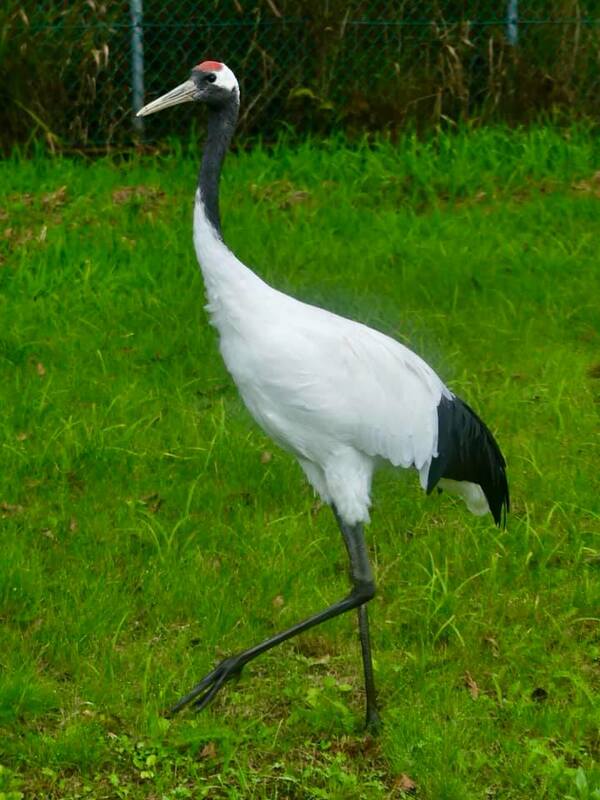 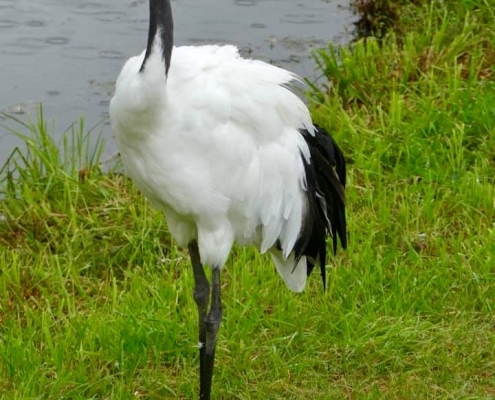 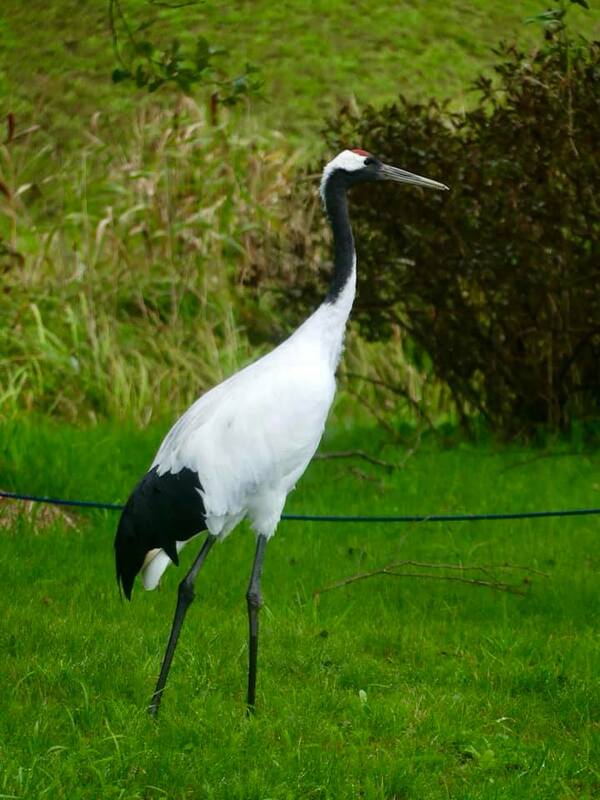 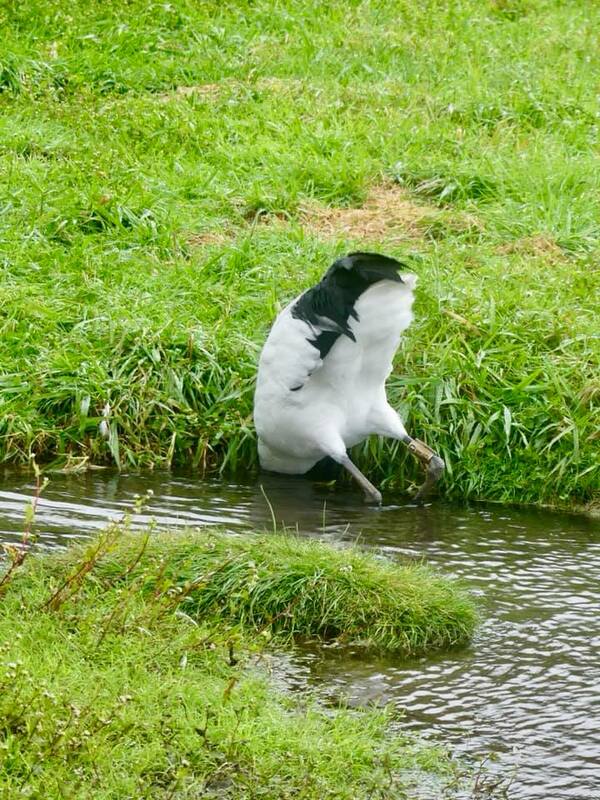 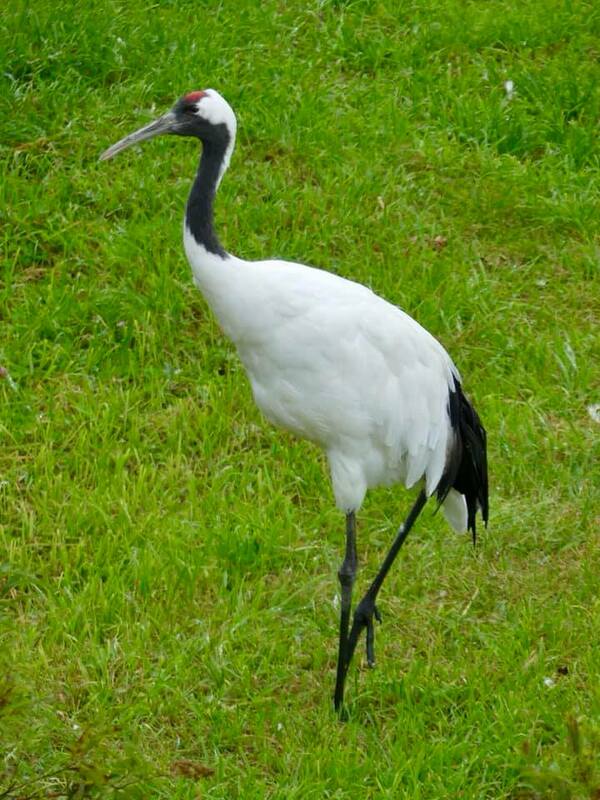 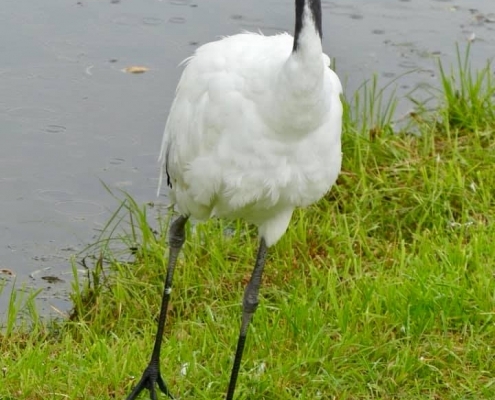 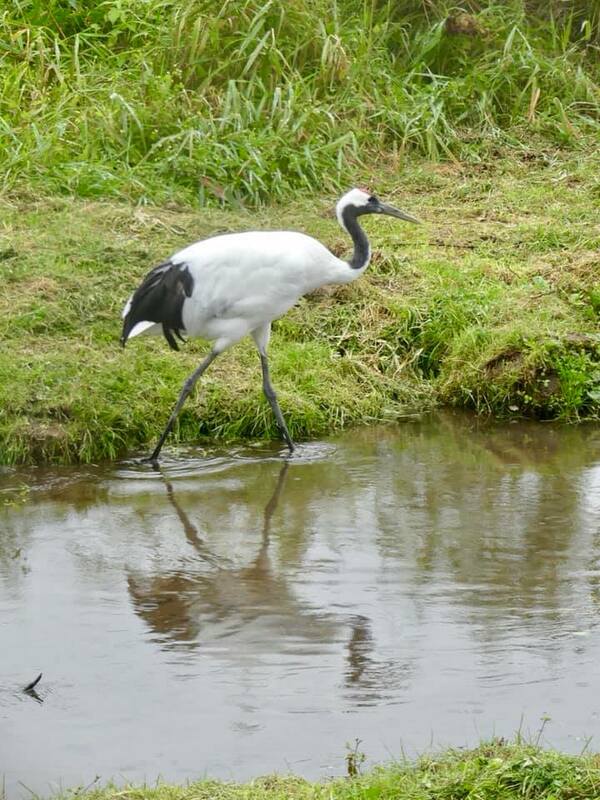 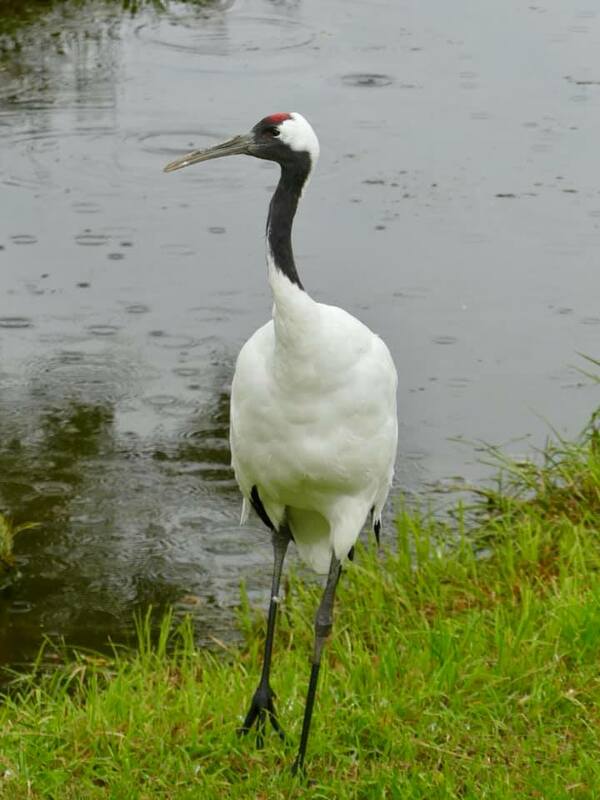 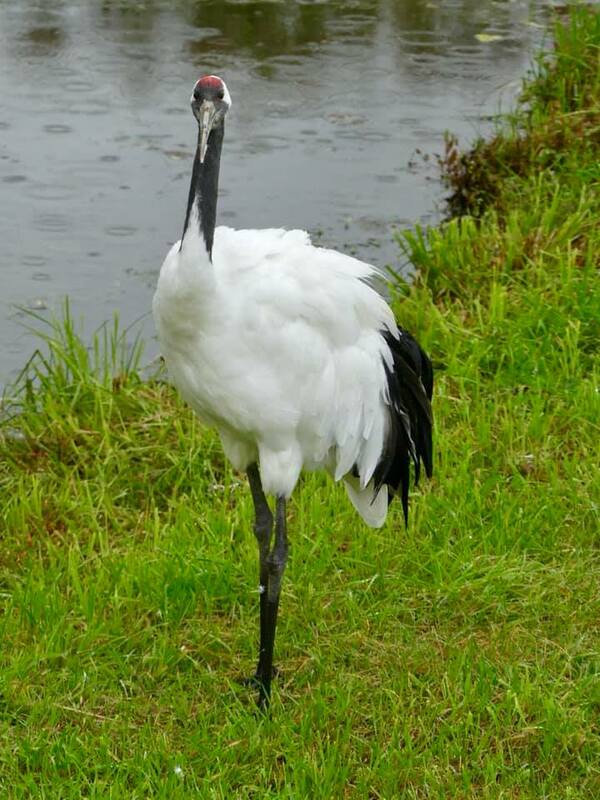 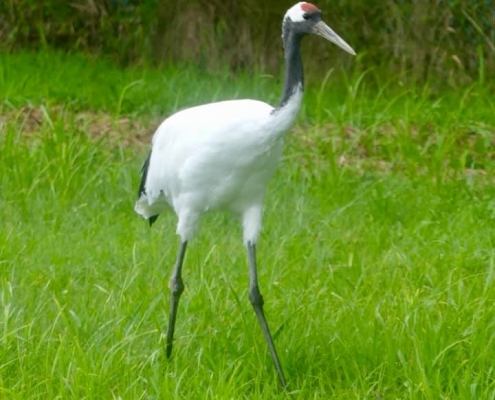 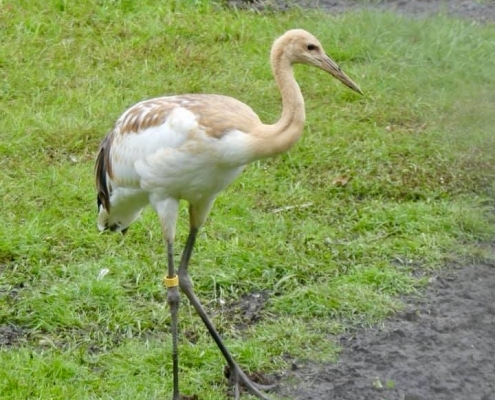 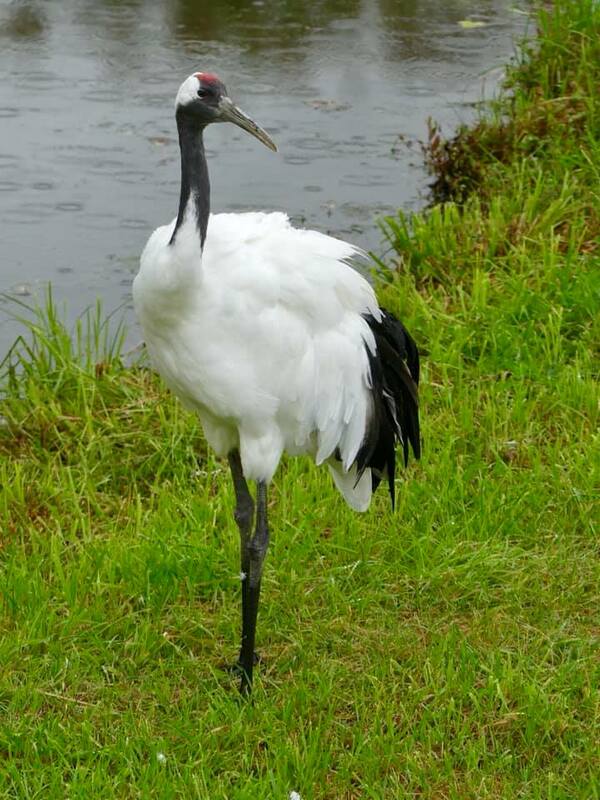 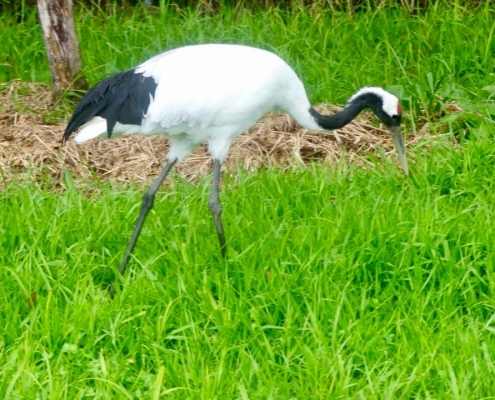 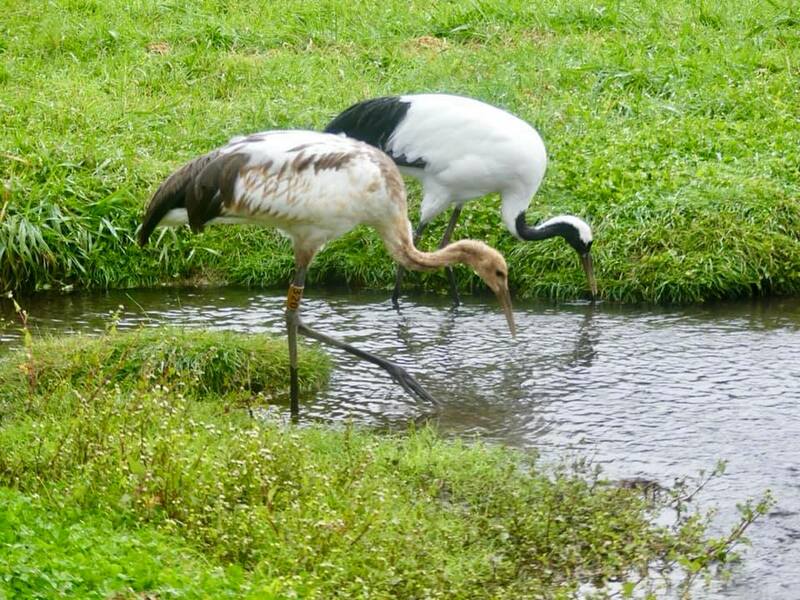 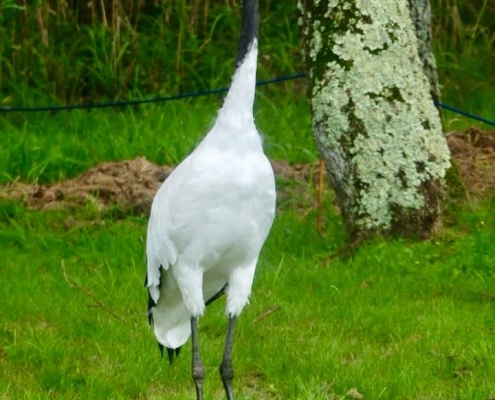 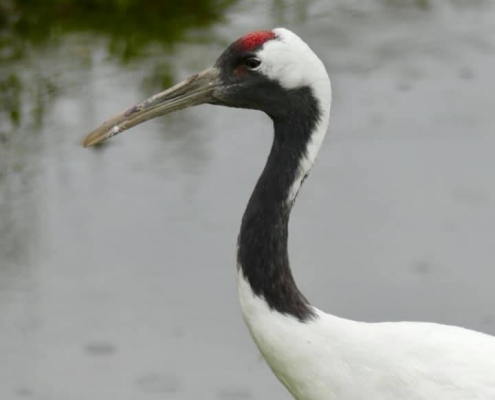 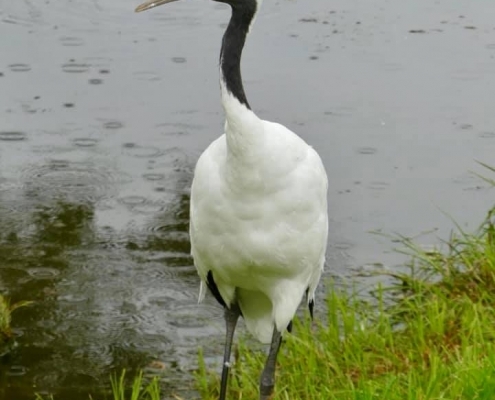 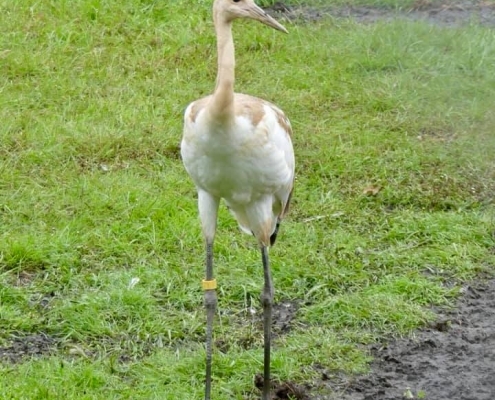 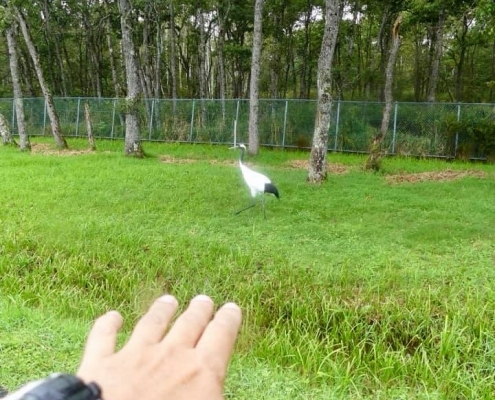 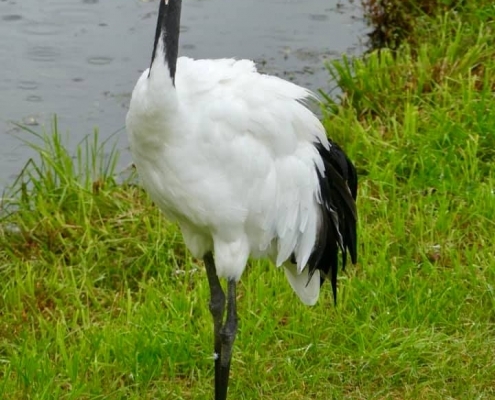 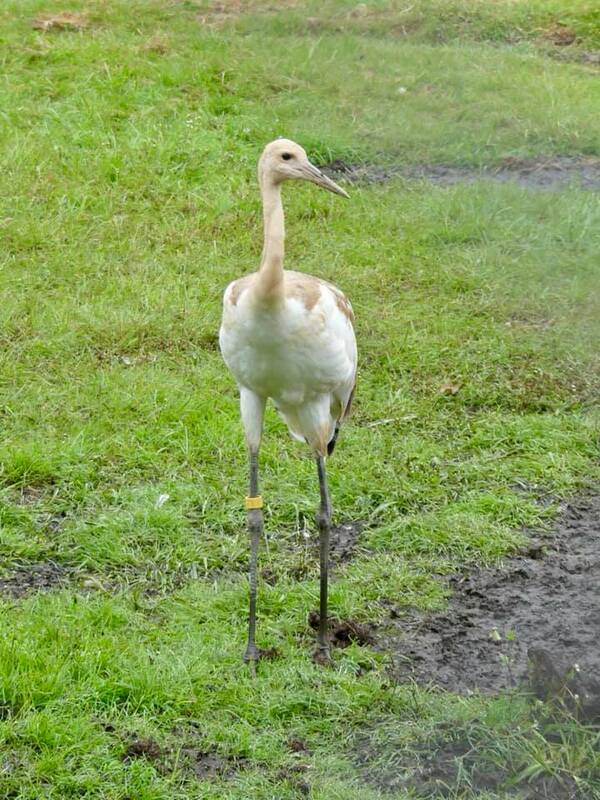 This crane species is the largest and heaviest of all cranes in the world. 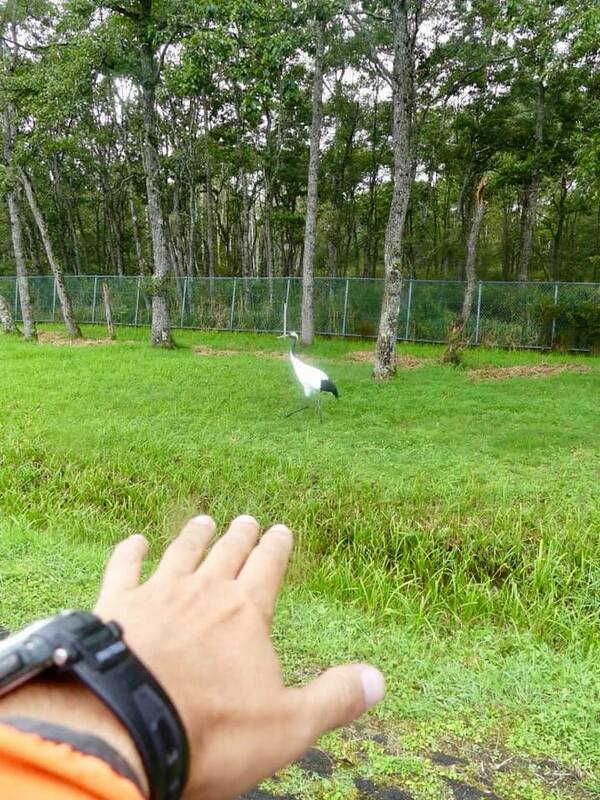 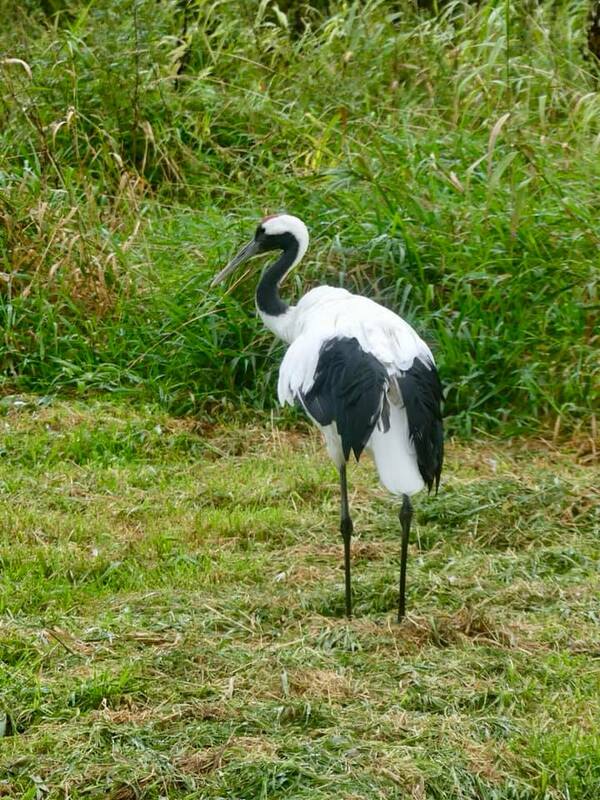 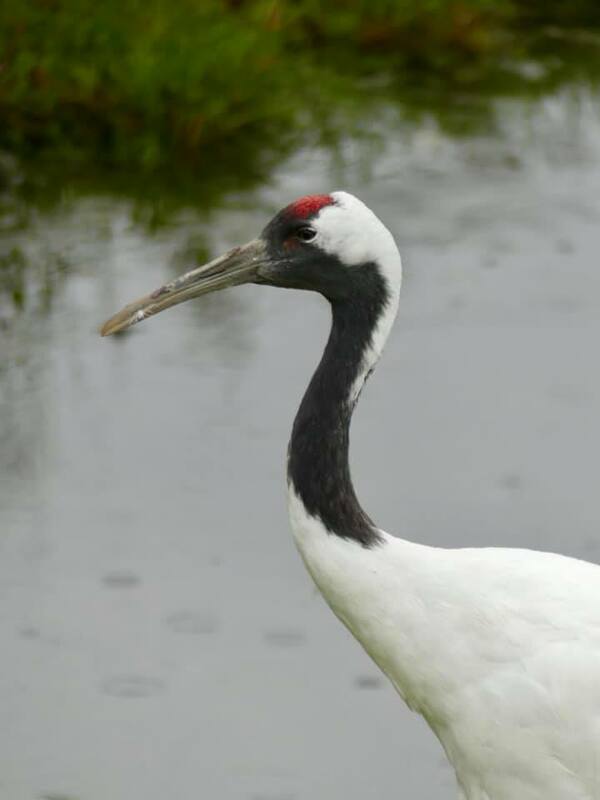 There are several crane preserves scattered around the Kushiro wetlands – in most the cranes are behind fences but free to fly away if they wanted to (which – why would they when you are being diligently fed and taken care of). 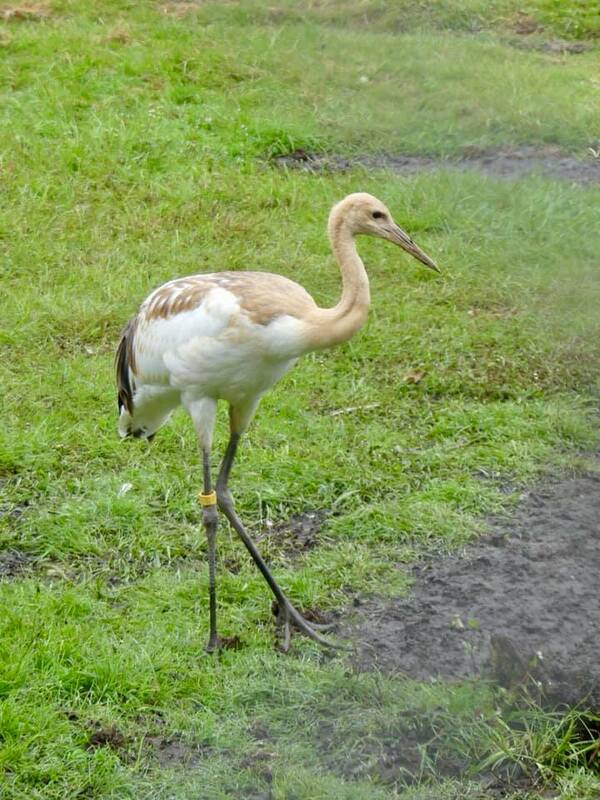 Several of them flew over the fence and were mingling with mere mortals like me.